Recent days, I'm spending a lot of time again trying to optimize my wordpress blog. Optimizing WP for better efficiency is becoming harder and harder task day by day as the website file content data is growing along with SQL databases. Moreover situation gets even worse because the number of plugins enabled on my blog is incrementally growing with time because, there is more and more goodies I'd like to add. Optimizing WordPress to run for Speed on a server is a whole a lot of art and its a small universe in itself, because as of time of writting this post the count (number) of WordPress available PLUGINS is 36,197 ! Because of its open source development and its nice modular design wordpress has turned into a standard for building small, middle sized and large websites (some WordPress based blogs and sites have from 50 000 to 100 000 unique pages!). My blog is still a small WordPress site with only 1676 posts, so I still haven't reached the high volume traffic optimization requirements but still even though I have a relatively good server hardware 8GB RAM / (2×2.70 Ghz Intel CPU) / 500 GB (7400 RPM HDD) at times I see Apache Webservers is unable to properly serve coming requests because of MySQL database (LEFT JOIN) requests being slow to serve (taking up to few seconds to complete) and creating a MySQL table lock, putting all the rest SQL queries to stay in a long unserved queues line, I've realized about this performance issue by using a a mysql cli (command) client and few commands and console command (tool) called mytop (also known as mtop). MyTop refreshes every 3 seconds, so the slow query will immediately stay on screen to view moer info about it press "f" and type the in query ID. Leaving mysql-slow.log to be enabled for 30 minutes to an 1 hrs is a good time to track most problematic slow queries and based on this queries, I took parts of SQL UPDATE / SELECT / INSERT etc. Db queries which was problematic and grepped throughout /var/www/blog/wp-content/plugin files in order to determine which WordPress Plugin is triggering the slow query, causing blog to hang when too many clients try to see it in browser. Before disabling I tried to optimize the queries using MySQL EXPLAIN command + SHOW CREATE TABLE (2 commands often used to debug slow SQL queries and find out whether a Column needs to have added INDEX-ing to boast MySQL query). But this didn't improve query speed even on the contrary it make execution time worse. runs a scan over your site to determine what resources your plugins are using, and when, during a standard page request. P3 PPP Can even create reports in a beatiful Excel like Pie chart sheet. Another useful thing to see with P3 PPP is Detailed Timeline it shows when the plugins are being loaded during new page request so you can see if there is a certain sequence in time when a plugin slows down the website. The pictures says it all as P3 PPP is Godaddy's work, congrats to GoDaddy, they've done great job. Is useful to check how much memory each of WordPress plugin is taking on user (visitor) request. Memory Viewer is allows you to view WordPress’ memory utilization at several hooks during WordPress’ execution. It also shows a summary of MySQL Queries that have ran as well as CPU time. To see statistics from Memory Viewer open any post from your blog website and scroll down to the bottom you will notice the statistics, showing up there, like on below screenshot. Though WP Memory Viewer is said to work only up to WP version 3.2.1, I've tested it and it works fine on my latest stable WordPress 4.1 based blog. Query Monitor is a debugging plugin for anyone developing with WordPress but also very helpful for anyone who want to track issues with plugins who use the database unefficient. It has some advanced features not available in other debugging plugins, including automatic AJAX debugging and the ability to narrow down things by plugin or theme. Once enabled from Plugins you will see it appear as a new menu on bottom Admin raw. If you want you want a Memory Viewer like plugin for more complex used components memory debugging, reporting if (WP_DEBUG is set in wp-config.php) also check out Debug Bar . For me Debug Bar was very useful because it show me depreciated functions some plugins used, so I substituted the obsoleted function with new one. This is a publicly well known list of WP plugins every WordPress based site adminstrator should avoid, but until today I didn't know so my assumption is you don't know either .. Broken Link Checker — Overwhelms even our robust caching layer with an inordinate amount of HTTP requests. MyReviewPlugin — Slams the database with a fairly significant amount of writes. LinkMan — Much like the MyReviewPlugin above, LinkMan utilizes an unscalable amount of database writes. Fuzzy SEO Booster — Causes MySQL issues as a site becomes more popular. WP PostViews — Inefficiently writes to the database on every page load. To track traffic in a more scalable manner, both the stats module in Automattic’s Jetpack plugin and Google Analytics work wonderfully. Tweet Blender — Does not play nicely with our caching layer and can cause increased server load. There are few alternatives to this plugins and when I have some free time I will download and test their alternatives but for now I plan the plugins to stay disabled. A PC Speaker is helpful as it could be used as a tool for diagnosing system hardware failures (different systems produce different beep sequences depending on the machine BIOS type). Using the instructions for the respective BIOS vendor and version one could determine the type of problem experienced by a machine based on the sequence and frequency of sounds produced by the SPEAKER. 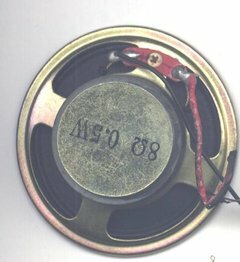 Generally speaking historically embedded PC Speaker was inseparatable part of the Personal Computers, preceding the soundblasters, now this is changing but for compitability sake many comp equipment vendors still produce machines with pc-speaker in. Some newer machines (mostly laptops) are factory produced with no PC-SPEAKER component anymore. For those who don't know what is PC SPEAKER, it is a hardware device capable of emitting very simple short beep sounds at certain system occasions. Talking about PC-Speaker, it reminds me of the old computer days, where we used pc-speakers to play music in DOS quite frequently. It was wide practice across my friends and myself to use the pc-speaker to play Axel Folly and other mod files because we couldn't afford to pay 150$ for a sound cards. Playing a song over pc-speaker is quite a nice thing and it will be a nice thing if someone writes a program to be able to play songs on Linux via the pc-speaker for the sake of experiment. As of time of writting, I don't know of any application capable of playing music files via the pc-speaker if one knows of something like this please, drop me a comment..
As long as it is used for hardware failure diagnosis the speaker is useful, however there are too many occasions where its just creating useless annoying sounds. For instance whether one uses a GUI terminal or console typing commands and hits multiple times backspace to delete a mistyped command. The result is just irritating beeps, which could be quite disturbing for other people in the room (for example if you use Linux as Desktop in heterogeneous OS office). Hence you need sometimes to turn off the pc-speaker to save some nerves. Here is how this is done on major Linux distros. On Debian and most other distros, the PC SPEAKER is controlled by a kernel module, so to disable communication with the speaker you have to remove the kernel module. Sorry, but Nagios is currently not checking for external commands, so your command will not be committed! This error is caused by an option configuration for /etc/nagios/nrpe.cfg (part of the nrpe-nagios-server Debian package. This error is due to a deb package, which seems to be affecting the current deb versions of Nagios shipped with Debian 6 Squeeze stable, as well as the Latest Ubuntu release 11.04. My sister has forgotten the administrator account for her wordpress blog as she did not blogged for a while. I decided to help her and reset the WORDPRESS blog password to another one. 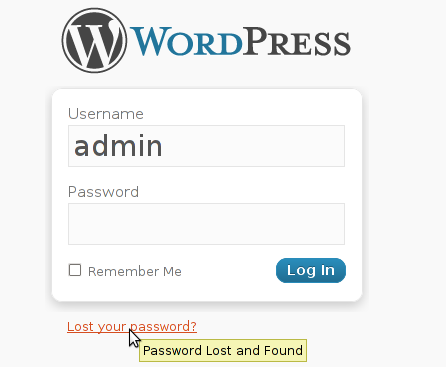 The easiest way of course in normal circumstances is to use wordpress's Lost your password password reset via email. However with this blog it seems I used an email address which I forgot so I couldn't really use this as a mean to reset the blog password. Enter password: Welcome to the MySQL monitor. Commands end with ; or \g. That's all now the password is set to the newly generated my_new_wordpress_password_to_reset pass string. Following my prescriptions the company where I work for has bought two hard drives for one of the servers we use for website hosting. The two drives are with capacity of 80GB. Yesterday I spend part of the day communicating with the tech support in the colocation center in (Evolink) Sofia Thanks God the hardware raid building has been succesfully managed by one of my colleagues working in Evolink. However he mentioned that some kind of warnings were present in the previous existing RAID 1 array. To be honest Iâ€™ve never thought before about monitoring the RAID array, before the tech support guy suggested to check the warning messages the raid array issues. following the instructions in the Server manual to build the array. Anyways that obviously went smoothly as I already mentioned. Taking in consideration his suggestions for monitoring the drives in the RAID array. I did some research in Google and came across the following Ubuntuâ€™s forums thread Monitoring utility for IBM ServerRAID . The thread dealt with converting the original RPM package bundled on the IBM software original CD to a deb package in order to make it properly installable and integrated into debian based systems (debian, ubuntu).